Now's the time to change how the world enjoys coffee. This is an exciting time for Seattle's Best Coffee - and for anyone who loves great coffee. The opportunity for us to bring our unique, premium coffee to more people has never been bigger and brighter. For more than 40 years. Seattle's Best Coffee has been satisfying America's demand for smooth-tasting coffee, and we've been fueled by the simple notion that everybody deserves a more enjoyable coffee experience. Now, we're on a mission to bring Great Coffee Everywhere . Brand recognition:A strongly recognized brand helps build a customer base from day one. A growing and vibrant national brand with a rich history and nearly 40 years of experience. Seattles Best Coffee has national distribution through branded cafes, grocery stores and foodservice locations including college campuses, restaurants, hotels and air and cruise lines. Over 1 billion cups of Seattles Best Coffee will be enjoyed this year. Operation systems: Our established infrastructure will provide on-going support franchisees need. We Understand that your time is valuable. We provide design and development support, empowering you with quick-to-market solutions. Each concept includes a complete equipment package. There are no holes to fill. You'll have everything you need to get up and running quickly. We take out the guesswork. With expert training, your team will confidently deliver the memorable Seattle's Best Coffee experience every time. Ongoing field support means help is never far away. A Seattle's Best Coffee District Manager is dedicated to your business and readily accessible. Leverage our 40 years of experience in keeping the Seattle's Best Coffee brand fresh. You'll enjoy sensational marketing campaigns to drive trial and usage. 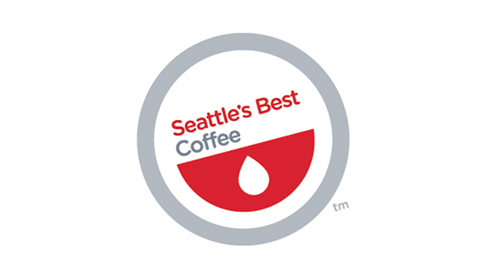 Seattle's Best Coffee provides a comprehensive neighborhood marketing program designed to introduce and celebrate the Seattle's Best Coffee brand within local communities. Answers are always at hand. We'll provide you with comprehensive resource manuals, covering topics from operations to product information. Flexible concepts: Seattles Best Coffee offers a full continuum of concepts to optimize operator profitability. A diverse portfolio of cafe concepts, including street side cafes, kiosks, and small freestanding drive-thrus. Best of class menu: Everyday favorites, as well as seasonal specialties of the house, support all day parts. Seattles Best Coffees has broad appeal among many coffee lovers palates'. Beverage program that builds customer loyalty by offering enticing options throughout the day. Bakery program features pastries, warmed sandwiches, afternoon snacks and desserts to help drive traffic during multiple dayparts. *Specialty Coffee Association of America, SCA A research, 2008. If youre ready to bring the Seattles Best Coffee experience to your marketplace, wed love to discuss the possibilities.